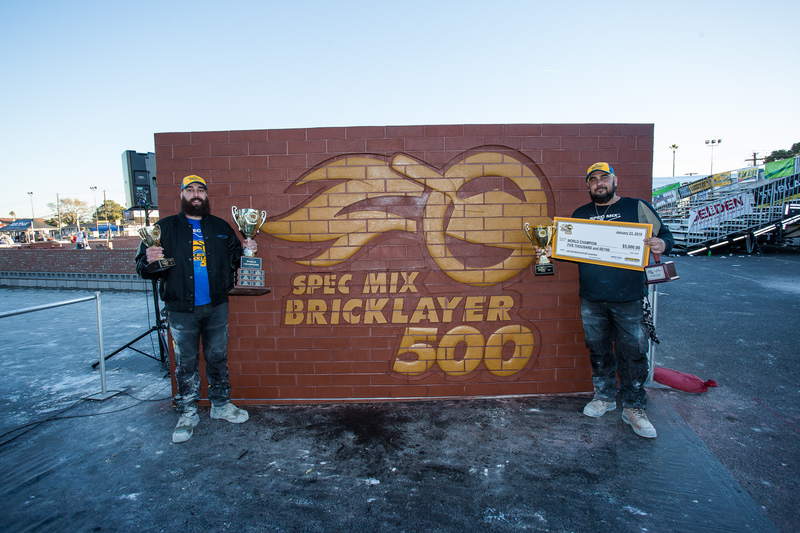 When mason Mario Alves and his tender Michael Alves of Hamilton, Ontario heard their names announced as the World Champions of the 2019 SPEC MIX BRICKAYER 500®, their enthusiasm was infectious. Family members raced in to celebrate with a group hug, in a raucous display of pure joy and emotion. 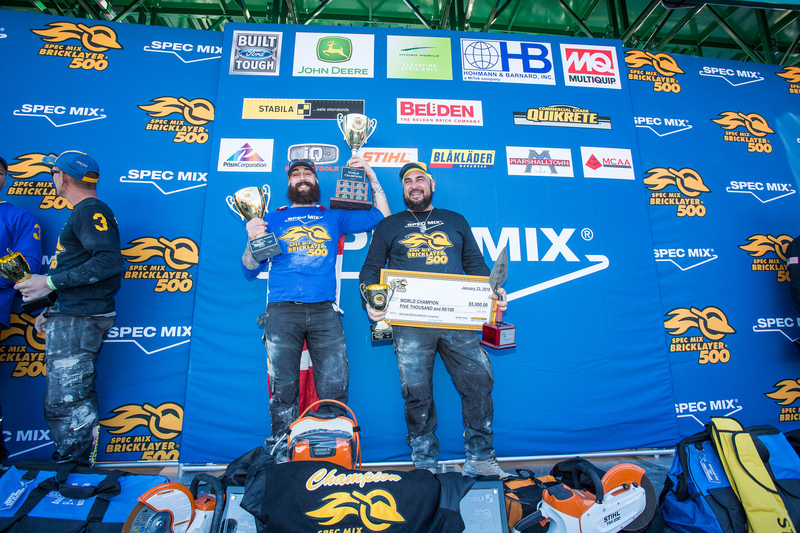 Not only did they take home a Ford F250 4×4 truck and ton of other great prizes, they also earned the honor of being the first international competitors to win the competition. 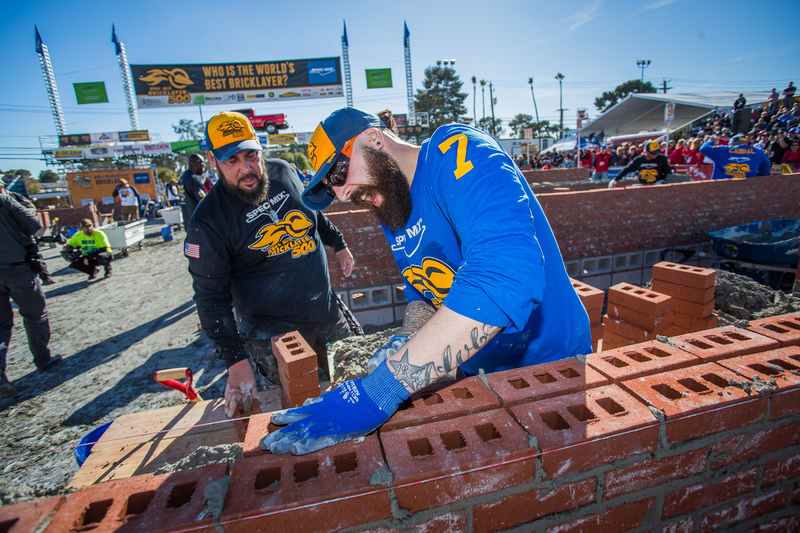 With his brother Michael by his side, Alves laid 760 perfect brick, edging out the second place finisher, Cole Stamper, by 11 brick. “My background is Portuguese. I even heard my name on the Portuguese radio, its great hearing that kind of love,” he said. The duo also took to YouTube to research techniques of past winners. They noticed as the walls got higher the mason had more distance to cover to spread the mortar. So to counter the movement, they placed brick underneath the Gatorback Mortarboards, reducing the amount of time and energy going back and forth. As the dust from the World Championship settles, Mario Alves hopes to do something positive with his accomplishment. “Growing up as a kid, I always wanted to be in a Super Bowl or a World Cup. This was a great opportunity and it felt just as special. I hope to speak to the younger generations about this great opportunity. I’d like to talk to the union and apprentices, what a great way to get people interested in my line of work,” he said.